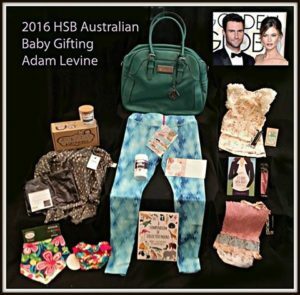 Hollywood Swag Bag Gifted Adam Levine with a Baby Basket! Adam Levine and wife Behati Prinsloo welcomed their baby daughter this week! 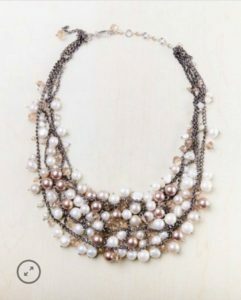 We are thrilled for all of the US brands that took part in this gifting! 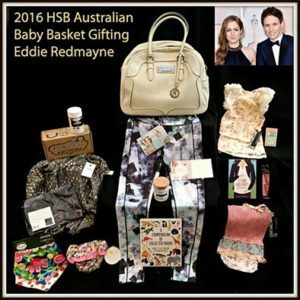 Eddie Redmayne and wife Hannah have welcomed their baby Iris Mary. We thank all of the US brands for taking part in this gifting! 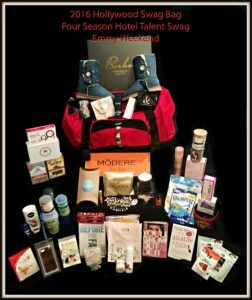 Introducing Hollywood Swag Bag Four Seasons Hotel Talent Bag for Emmy Weekend 2016!